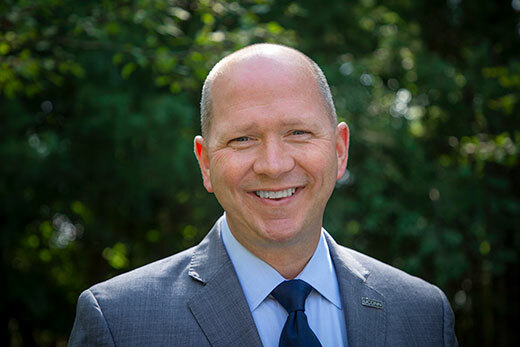 Emory University President Claire E. Sterk has announced the appointment of Joshua R. Newton as senior vice president for advancement and alumni engagement. He will assume the post on Aug. 27, 2018. Newton currently serves as president and CEO of the University of Connecticut Foundation, Inc. In that capacity, he presided over the five most successful fundraising years in the foundation’s history, raising a total of nearly $400 million over fiscal years 2014-2018,representing a 46 percent increase. At Emory, his responsibilities will include the development and implementation of the university’s next philanthropic campaign, building on Emory’s 10-year aspiration and focus on academic eminence. The senior vice president for advancement and alumni engagement will also play an important role in furthering Emory’s relationships in the Atlanta community as well as engaging nationally and internationally on behalf of the university. Before his move to Connecticut, Newton served for more than a decade in Emory’s Development and Alumni Relations division, most recently as vice president for university development, a position he held until 2013. During his tenure at Emory, the university successfully completed Campaign Emory, a seven-year, $1.69 billion effort, the largest in the university’s history, with nearly 150,000 donors contributing. A native of Hamlet, North Carolina, Newton is a graduate of Belmont Abbey College in Belmont, North Carolina. He began his career in higher education at Converse College in Spartanburg, South Carolina, where he served as executive director of development, leading the school’s successful $75 million campaign to surpass its goal one year ahead of schedule.